Are you in need of dependable freezer repair in Los Angeles, California? Our company has been providing competent service for residential appliances for a very long time. We are committed to administering quality results that our customers can trust. All of our certified technicians have the experience, training, and knowledge to provide all aspects of appliance repair in Los Angeles. Our appliance experts use exceptional troubleshooting skills to locate problems quickly. We offer cost-effective solutions to a wide range of issues. At Magic Appliance Repair Los Angeles, we always make our customers our number one priority. We are proud to offer the complete package of freezer service options for our customers in the residential community. Our flexible scheduling policy means our customers can receive fast and accurate service at their convenience. One of the most common problems we confront with any type of refrigeration unit is the failure to cool properly. This problem can be caused due to a variety of factors. Our highly-trained appliance specialists know exactly what to look for and what to do when they find it. Every freezer technician on our staff will arrive promptly on time, be respectful, and work hard to administer the quality service you deserve. 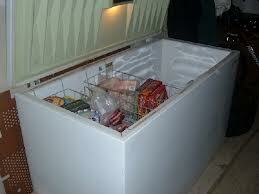 You expect and deserve fast freezer repairs and that is exactly what we offer on a daily basis. Our experts begin each service day by ensuring their vehicles are stocked with a wide array of quality spare parts. This process enhances our opportunity to administer the fastest and most accurate service possible. We stock replacement components like thermostats, seals, hinges, switches, compressors for all types of freezers. There is no time to waste when you need appliance repair in Los Angeles. You cannot afford for your food to thaw out. Los Angeles Magic Appliance Repair will get to your home fast and provide the professional results you deserve at a cost you can afford.